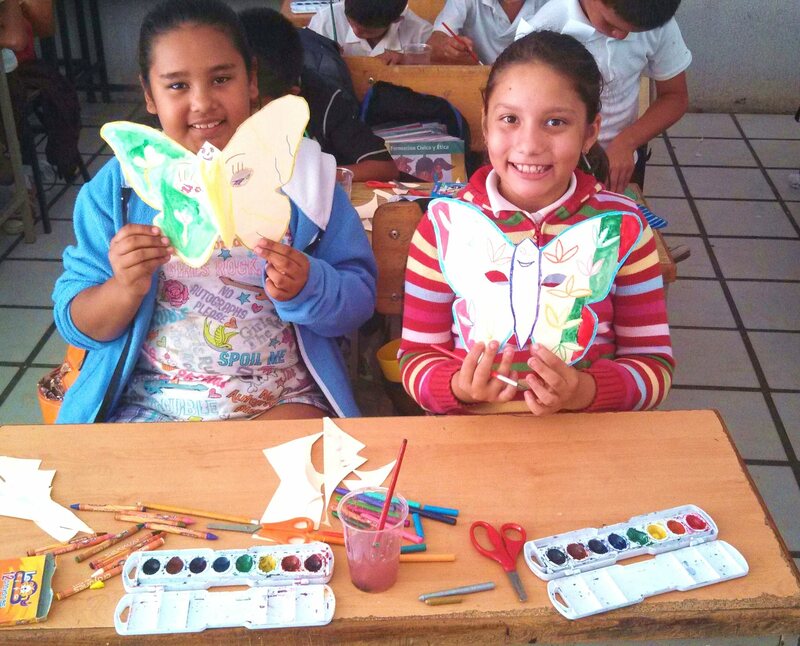 Tw isp artist Bruce Morrison guides elementary school students in La Manzanilla, Mexico, through the process of painting watercolor butterfly (“la mariposa”) masks. 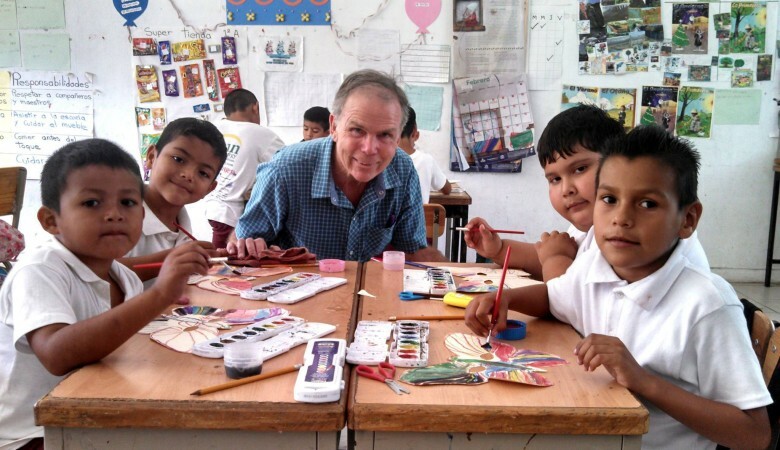 Bruce, who is a teaching artist in our Artist-in-Residence program, worked with students at Brewster Elementary School to paint owl (“el buho”) masks earlier this winter (CLICK HERE FOR ARTICLE); now he is connecting those students with these in La Manzanilla through Skype and a pen pal (“amigos de pluma”) program. Methow Arts donated the watercolor paint sets and paper supplies to the Mexican students, many of whom had never painted before and who are, according to Bruce and his partner Karen, having fun learning brush technique and experimenting with color.